San Diego County Market Report Create your own custom housing report for FREE! What do you get? See all current housing statistics for any city or neighborhood in San Diego County on a monthly basis. You will get ACTIVE Homes for sale, PROPERTIES UNDER CONTRACT (WHICH HOMES ARE ACTUALLY IN "ESCROW") AND SOLD HOMES - WHICH WILL INCLUDE BEDS, BATHS, SQ FT, LIST PRICE, SOLD PRICE, COST PER SQ FT, DAYS ON MARKET AND SOLD DATE. PROFESSIONAL INVESTORS USE THIS REPORT EVERY DAY TO HELP NEGOTIATE THE BEST DEALS IN SAN DIEGO COUNTY! Click Here Now if you are thinking about Buying Solar for you Home? San Diego is California's second largest city and the United States' eighth largest city overall. This great city has a population of nearly 1.3 million residents and more than 3 million residents countywide. 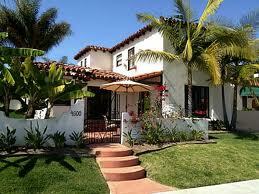 Houses in San Diego, CA are extremely popular. It has numerous charming neighborhoods and communities, including historic Downtown San Diego, Coronado, La Jolla, Del Mar, Carlsbad, Eastlake, Old Town, La Mesa, Chula Vista, Del Cerro and Rancho Santa Fe just to name a few. This beautiful city by the Pacific Ocean is renowned for its perfect year-round climate and has over 70 miles of pristine beaches and a dazzling array of world-class family attractions. Popular attractions include the world-famous San Diego Zoo and Wild Animal Park, Sea World San Diego, LEGOLAND California and Balboa Park. San Diego offers an expansive variety of things to see and do, appealing to guests of all ages from around the world. Just two miles from Downtown, across one of the world's most distinctive bridges, is Coronado Island. Coronado has one of the finest beaches in the world, bathed in endless sunshine and rich in history, it is a vibrant beach community loaded with charm. Located on Coronado is the Coronado Del Hotel. Built in 1888, this classic beachfront respite has long been heralded as one of America’s most beautiful beach resorts. Today, The Del offers guests a unique combination of modern luxury touched with the charm and grace of this fairytale castle; include its stunning beachfront locale and it’s easy to see why The Del has been called “one of the top ten resorts in the world” by USA Today. In East County, the terrain varies from gentle foothills to mile-high mountains with endless opportunities to hike, camp, fish, observe wildlife and much more. In North County, the agricultural community produces quantities of flowers and magnificent produce and has miles of beaches for everyone to enjoy. Along Western and Central San Diego, there are 70 miles of Pacific Ocean coastline that not only support year-round outdoor recreation, such as surfing, boating, sailing and swimming, but also important scientific research at the Scripps Institution of Oceanography. South County offers beaches, water parks, the Cricket Wireless Amphitheater and Mexico to the south. San Diego's arts and culture and culinary arts are booming. The hottest new culinary arts talents prepare award-winning meals throughout the regions 6,400 eating establishments. Balboa Park is the largest urban cultural park in the U.S. and is home to 15 museums, numerous art galleries, beautiful gardens, the Tony Award-winning The Globe Theatres and the world-famous San Diego Zoo. This county also features 92 golf courses, the Chargers and the Padres. This area has beachfront resorts and luxury spas, gaming, a dynamic downtown district that is one of the best atmospheres in the United States, annual special events and unique holiday offerings, multicultural festivals and celebrations, colorful neighborhoods and communities, a rich military history and much more. Please contact me immediately if you are looking for a professional Realtor in the San Diego County area. Now check out some of the San Diego Houses below. San Diego, A great place to live!